Bee Pollen is the food of the young honey bee. It is very nutrient dense containing: all essential amino acids ( 40% protein), over 20 minerals ( calcium, magnesium and iron), over 10 vitamins vitamins (B, C, E and D), enzymes and 14 beneficial fatty acids. There are a number of health claims, and many of these are now being backed by science. All these antioxidants, vitamins, minerals and other components are working together to help the heart, skin, immune system and fight cancer. Heart and Lungs: Bee pollen contains large concentrations of rutin, a bioflavonoid that is known to help blood vessels, circulation, protect the heart, and decrese the chance of stroke. Weight Loss/Energy. It is high in protein, and increasingly used by those in the gym to increase muscle mass, increase energy, potentially increasing metabolism and helping with weight loss. Allergies/Skin Disease. This is the condition that it is getting the most recognition about. It is thought that topically applied it stimulates new skin tissue growth; great for injuries. People are finding it helpful for aging skin. In animals I believe the biggest benefits is orally. Pollen reduces the presence of histamine, decreasing symptoms. Dr. Leo Conway, M.D of Denver Colorado, reported that 94 percent of his patients were completely free from allergy symptoms once treated with oral feeding of pollen. Immune Support. There are many nutrients in the pollen which can help boost the immune system. Dr Mercola of mercola.com claims that bee pollen has antibiotic-type properties that can help protect the body from contracting viruses. It’s also rich in antioxidants that protect the cells from the damaging oxidation of free radicals. Gastrointestinal System – Bee pollen contains multiple enzymes which are believed to help in digestion. 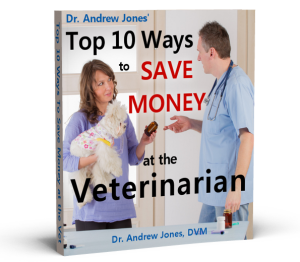 The enzymes help your pet break down the food properly, so they can get all the nutrients from the food. Doses: these vary, 1 tablespoon per 100 lbs for dogs. Start with a very small dose and work up from there over a couple of weeks. First there are no dumb questions. In a beehive, both bee pollen and honey are used as food. When honey bees gather nectar from flowers they gather pollen along with it. 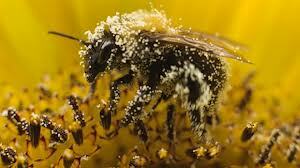 They bring that pollen, now known as bee pollen, back to the hive to use as a source of nourishment. bee pollen has more protein while raw honey has more antioxidants. The pollen has less sugar/carbohydrates. I’ve given my skunks Bee Pollen for years, take it myself as well. I just recently got a dog in a rescue situation. He is in his new forever home now. I will start giving him the bee pollen as well. He’s a big Standard Poodle and gets along with the skunks very well. Life is good. Years ago I took a lot of bee pollen and it made me very peppy! This article reminded me that I just saw raw bee pollen in a market, and will take some again! My elderly dog might benefit as well. Just wondering if there was a way to know if your dog could be allergic to bees which would determine whether to give the bee pollen? My dog is also about 5.5 lbs, so what would be suggested as a dose and in what form? granules? The pollen is not related to bee sting reactions. Dose 1/4 teaspoon daily of the granules. We have created a special gourmet blend of bee pollen just for dogs! Visit our website and order your Pooch Pollen today! I’ve seen a lot about bee pollen for dogs but nothing for cats. My cat has terrible allergies. The vet gives her antibiotics once in a while. I’ve asked for other remedies but they have none. I’d love to try the bee pollen if it’s OK for cats. It would be wonderful to be able to help her. Please ignore my last post. I have a 14 year old Chihuahua who suffers badly from allergies, a friend of mine knows a bee keeper and he brought me bee pollen granules,and said my dog’s allergies would clear up if I gave him some daily. I’m nervous to give it to my dog but hate seeing him suffer. He weighs just under 10lbs,I have no idea how I give it to him or how much and how often? Any advice would be helpful. Thank You. I have been reading that 1 teaspoon per 50lbs of body weight is the rule of thumb for a dog. For a 10lb dog I would use 1/4 teaspoon of granules. I use this on my sick cat, but I buy the capsules, and break them open and dump it in her food (she is in liver failure). I mix it in, as cats are pickier. She is only 7 lbs, so my measurements are not exact. I put two capsules in each can of food, and offer her different ones. I also was mixing it with water (1 capsule) and squirted it down her throat. It is great stuff, and I wouldn’t worry too much about exact measurements. Can anyone tell me how much to give my cat. He has feline leukemia and is not eating well at all. He will eat one food one day and then you try to give him more later and he doesn’t eat it. We have been putting small amounts of pureed thickened food on a spatula and putting it on the roof of his mouth to eat the last two days. Any help would be appreciated. Or where i could get a high potency liquid vitamin c.